Preparing surgical equipment. 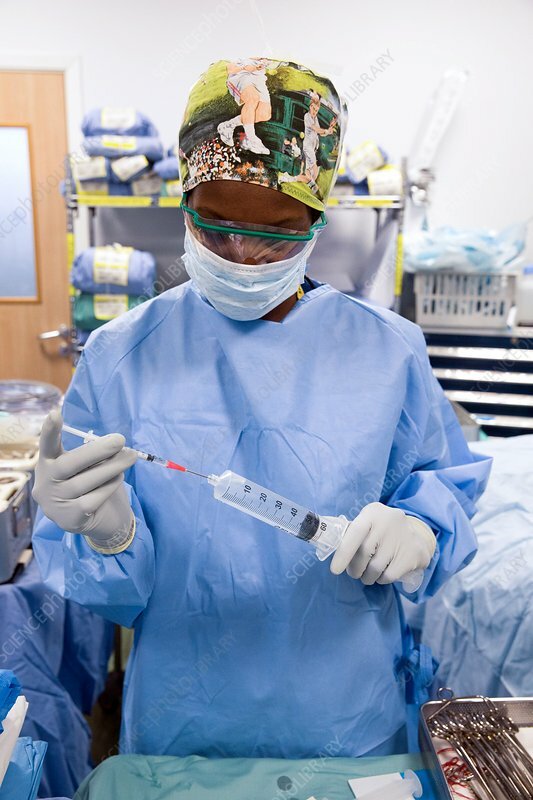 Surgical staff member preparing a syringe for use in an operation. Photographed in the UK.